Carefully handpicked areas along the beautiful and warm Costa Calida coastline are been selected for development all the time. The peaceful, unspoilt beach resorts of Playa Honda and Playa Paraiso are no different. Nestled in the Southern most point of the internal coastline of the Mar Menor - Europe's largest salt water lagoon – these two resorts are welcoming exciting new developments. That's why we've put together this run down as to why you should include them in your Spanish property search. Playa Honda is home to an array of beautiful golden sandy beaches, which gently slope into the warm shallow waters of the Mar Menor. The Mar Menor is non-tidal and 5 degrees warmer than the Mediterranean. It is also very shallow, making the water ideal for all kinds of water sports, from paddle boarding, to kayaking. The calm waters provide a wonderful location for young children to enjoy bathing and paddling and you'll be pleased to know that the beach is very well serviced with lifeguards posted there between June and September. You will also find children's play areas, a sailing school and pedal boat hire during this peak season. For a quiet urbanisation, there is a very vibrant beach life going on. “…by a path we reached Playa Honda where we started to see the Cabo de Palos lighthouse in the background. But first, we crossed Playa Paraíso through a well-conditioned beach promenade where it is normal to cross paths with people walking with animals or jogging.In the background, we can see the Flamingos on the waters of the salt flats of Marchamalo, which is a protected area." You know that an area is up and coming when new developments are announced, and Los Flamencos is an extremely promising resort located between Playa Honda and Playa Paraiso. Every part of this new concept development has been specifically designed to compliment its local environment and to exist in perfect harmony with its wild neighbours. Si Spain is delighted to be one, of only a handful, of property consultants selected to market this excellent development. It promises contemporary apartments that are designed to allow the maximum amount of light into every property and provide the best possible views of the beach, sea and natural salt lakes (Salinas). This brand-new development offers a choice of modern and spacious two and three bedroom properties distributed over nine floors - all of which offer truly stunning sea views thanks to its unique beachfront location. It is right next to the protected natural parks of Marchamalo, which ensures that nothing will ever be constructed in front or to the side of the development. The communal areas are also worth boasting about. Catering to those of you who are looking for an energetic or peaceful outdoor lifestyle with the joy of luxury facilities. These include beautiful Mediterranean gardens with tranquil pathways and plenty of seating areas, chill out area, sports circuit, bike racks with cleaning facilities, children's play parks, bird-watching area, volleyball court, gymnasium, spa & wellness area and a fantastic beach-style communal pool with swimming lane, splash pools. There's even a special play and recreation area for your furry, four-legged family members! What's more, the development is in easy walking distance of all the amenities you need including a supermarket, pharmacy, local shops, bars and restaurants. The golden sandy beaches are also just a few steps away from the development gates. Marchamalo is an area of naturally occurring salt lakes located on the inner-coastal area of the Mar Menor and is home to one of the Region's largest communities of pink flamingos. This protected nature reserve occupies an area of almost two million square metres and is home to a wide variety of other water birds such as Andouin's Gulls, Egret Herons, Black-Winged Stilts, Avocets and Plovers - making it very popular with birdwatchers and wildlife enthusiasts from all over Europe. According to Murcia Today, it is also full of history.Many Stone Age artifacts and remains have been discovered in this area, as well as the wreck of a first century Roman ship which was found on the nearby shores. Playa Honda is an urbanisation located very close to some larger towns and resorts. A regular bus services will get you to the surrounding towns of Cabo De Palos, Los Belones, and of course, the beautiful and historic city or Cartagena, which is just a 10 to 15 minute drive away. Cabo De Palos is a pretty harbour town, famous for its superb seafront fish restaurants, impressive lighthouse and its numerous diving centres where you can explore the underwater wildlife and many wrecks around the coastal waters. In addition, the wild and beautiful Mediterranean beaches of the Calblanque Regional Park are just 5 minutes away. 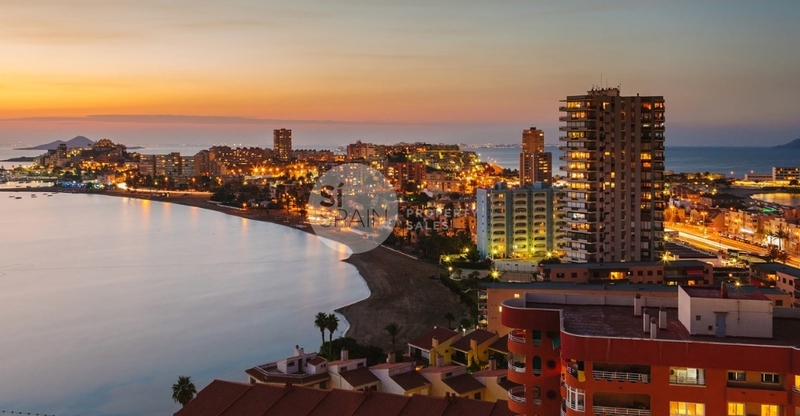 La Manga Strip is again just a few minutes drive away. Here you will find children's fun parks, sporting facilities, great beaches on 2 seas and a great choice of bars, restaurants and shops. If you enjoy a more lively night out every now and again, you will also find some of the areas best music bars and discos, which are open until the early hours and beyond during the Summer months in the famous resort. The real jewel in the crown of this area is Cartagena City. Initially a Roman city its deep harbour and key strategic location made it the site for many battles for many centuries during Punic wars the between the Cartaginians of North Africa and the Romans as they struggled for control of the Iberian Peninsula. There legacy has left an impressive full size Roman Ampitheatre as well as many other archeological sites including a full Roman street which has recently been fully excavated and opened up for visitors to explore. With its beautiful marina, seafront promenade and fantastic baroque city centre all within easy walking distance of the port, Cartagena has also now become a key destination for cruise ships. Or golf might be your game. You are spoilt for choice here, with over 25 top class courses all within 30 minutes' drive. The world famous La Manga Club with its THREE 18 hole championship courses is less than 10 minutes' drive away. Home to the rich and famous, La Manga club is also well known for its superb bars and restaurants as well as its world class sporting facilities such as its tennis school, football pitches and cricket club. Many of Europe's professional football and cricket teams come here each year to use these fantastic facilities for training and team building. 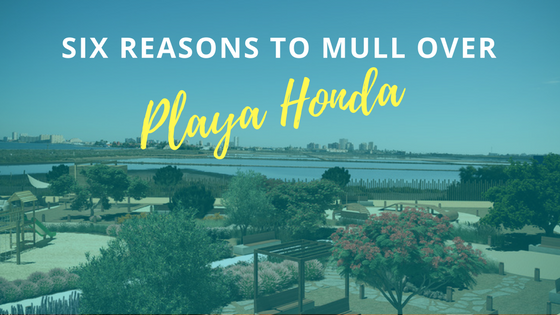 Finally, Playa Honda is also just a 20 minutes drive away from Murcia (San Javier) airport, 25 minutes from the new Corvera airport, which is due to open this year and around an hour from Alicante airport. Costa Calida boasts over 3,000 hours of sunshine a year. The climate is mostly warm all year round with an odd drop in temperature in the winter months and bouts of high heat in the summer months.And there is little rain at any point of the year. It makes the region a much warmer year-round location when compared to the UK, as well as a perfect holiday location for high season visitors. Watch the Los Flamencos video here, and if you'd like further details on the property options, please fill out the request form.